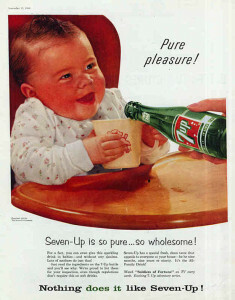 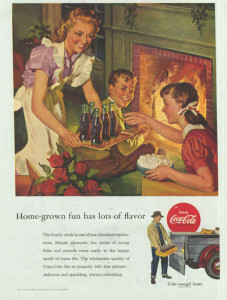 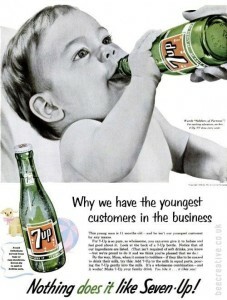 Does it seem absurd to run an advertising campaign to get mothers of infants to serve up sugary soda to their babies? It does seem ridiculous now; but at one time, it was the goal of advertising executives to convince parents that sugary drinks were perfect for infants and children. Yes, that’s right – feed your infant soda and feel good about it. There is no doubt that product advertising had a significant influence on the growth of the soft drink industry and, perhaps, the addiction many have to sugary drinks.